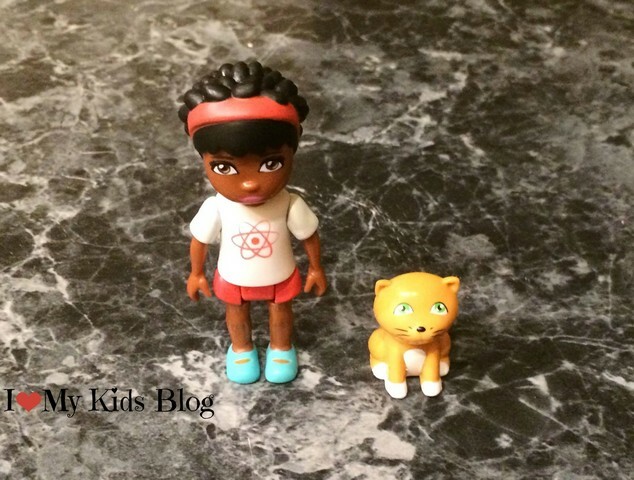 In our fast paced, technological world, I’m always looking for toys that will give my kids the chance to work on important STEM (science, technology, engineering, math) skills, while they play. 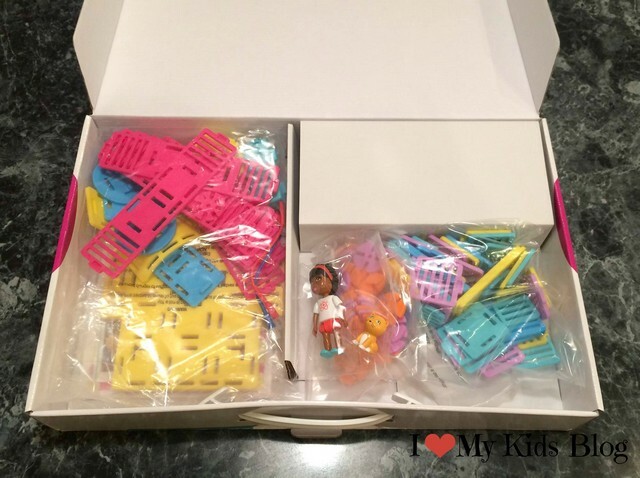 Unfortunately, it seems like most toys that encourage building and problem solving are geared more towards boys. Perhaps this is one of the reasons why only 20% of degrees in computer science are earned by women or why only 11% of engineers are women. I was so excited when I discovered Roominate. 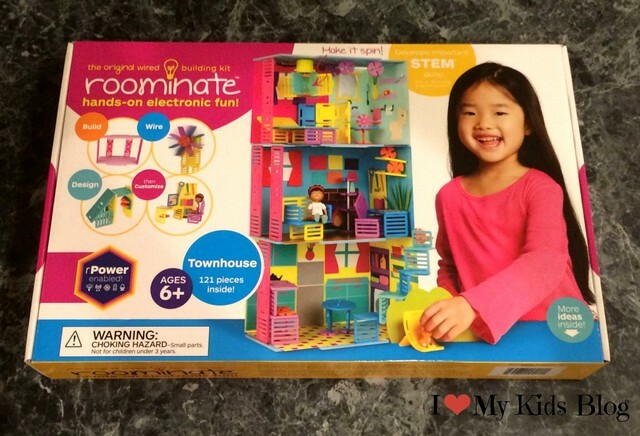 Roominate is an award-winning, customizable line of wired building systems that encourages girls to build and create their own unique structures or vehicles. Each structure is created using a combination of circuits, modular pieces, and universal joints. The modular pieces and joints are designed to be taken apart and remade into something new over and over again. 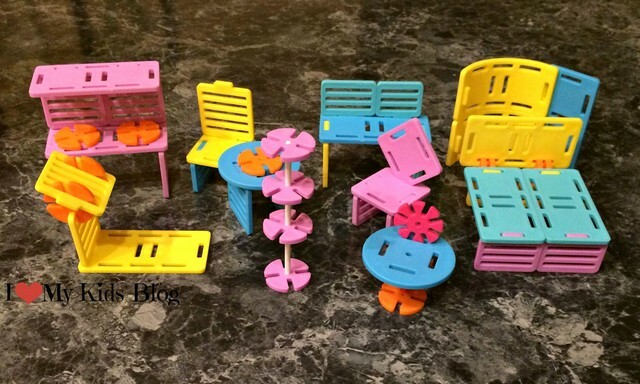 As your daughter designs and creates new structures, she will be developing her spatial reasoning and fine motor skills. She will also engage in hands-on problem solving and will learn basic circuitry. The only limit to what your daughter can create is her imagination. We got the chance to try the new Roominate Townhouse. 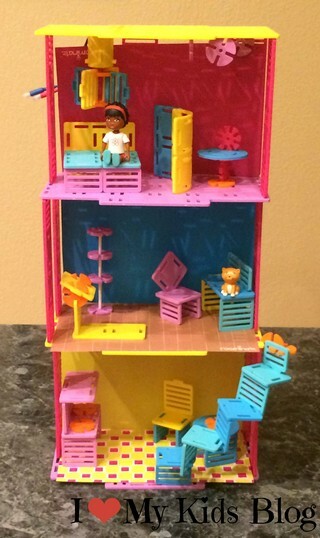 This is a 121-piece set that includes wall and floor panels, furniture building pieces, connectors, columns, wheels, an axle, a motor, a screwdriver, 3 sheets of decorative stickers, wall paper sheets, a doll, and her pet. 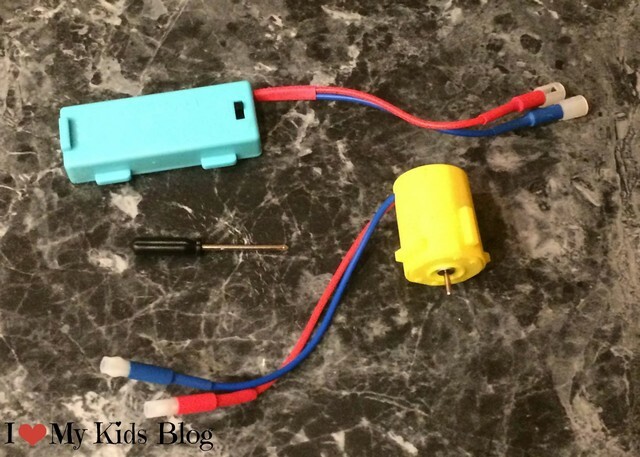 To complete the circuitry you will need 2 AAA batteries which are not included. We decided to build the three story townhouse structure that was pictured on the box. There is an instruction guide included with the set. While it shows a variety of possible creations, it does not give step by step instructions on how to build each structure. This was initially frustrating to my daughter, but after she had built the main structure, she did enjoy the ability to build what she wanted. She explored a little bit and we ended up with some pretty ingenious furniture designs. The pieces do have to be precisely placed to snap into place. My 6 year old daughter was able to manipulate the pieces, but they may be trickier for younger children. My daughter was very excited to get a chance to work with batteries and circuitry. After we finished building the townhome, she wanted to try and build all kinds of different moving parts. Roominate Townhouse has the building components to build a ceiling fan, a working doorbell, a windmill, and a working elevator. Roominate Townhouse is also compatible with rPower. 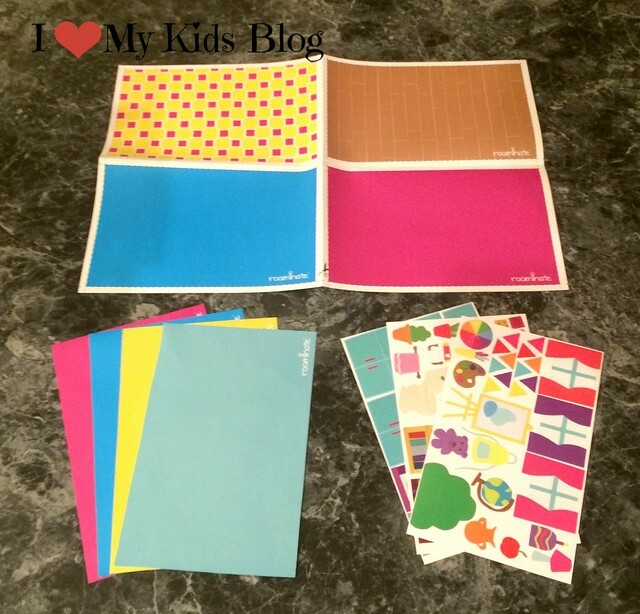 The rPower app allows you child to control her moving creations with a phone or tablet. Roominate is available at retailers nationwide for $39.99. It is recommended for children 6+. Disclosure: I received a Roominate Townhouse set to facilitate this review. I was not required to give a positive review. Regardless of our arrangement, my opinions are honest and my own. « Keep warm this winter with the Tallulah WR warm boots from Lugz!